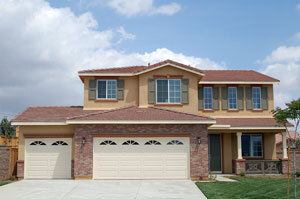 If you need a garage door from a Jacksonville, FL, contractor you can trust, look no further than 31-W Insulation. We’re 100 percent committed to providing your family the level of customer care you deserve and will go above and beyond to ensure that you’re completely satisfied with your new garage door. And, you can rest assured that we have the expertise needed to get the job done right, because we’ve installed garage doors and performed other home improvement services since 1972 – longer than many other local contractors. These manufacturers offer doors in a multitude of styles and colors, so you’re sure to find a system that perfectly reflects your personal style. Their doors are specially engineered to stand the test of time, and many are backed by impressive warranties, so you can be confident that your investment is well protected. To learn more about the garage door systems we install in Jacksonville, FL, and surrounding areas, contact 31-W Insulation today. We’ll gladly visit your home to provide a complimentary consultation and no-obligation estimate. Be sure to ask about our other home improvement services, including the installation of attic insulation, fireplaces, custom closet organizers, simulated stone siding, and more.